We traveled down the new M-8 motorway from Cashel down to Cork, a trip which now takes just over an hour that in the past would have taken more than two. The Irish love their new motorways, paid for in large part by the EU, which of course, is now broke. “There will be no more new motorways for a while,” an Irish bar keeper told me today. Our destination was the seaside town of Cobh, formerly known as Queenstown. 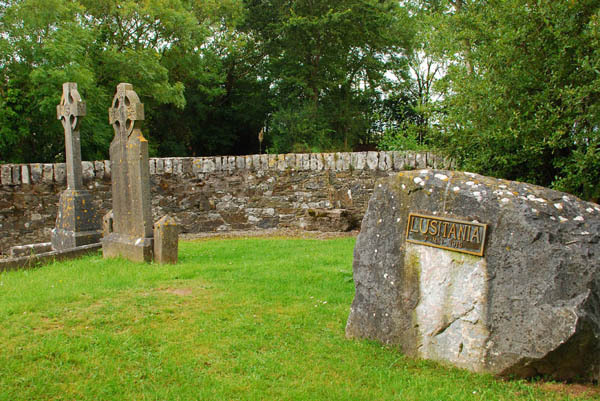 This is where more than a million of the 2.5 million emigrants who left Ireland during the worst years of the famine in the 19th century embarked on their voyages to America. A huge cruise ship was docked near the old train station, now the setting for the “Queenstown Story,” a decent museum which tells the story of emigration and how Queenstown played its part. As almost a side note, the RMS Titanic made its last port of call here, and the Lusitania was sunk by a German U-boat just off the Old Head of Kinsale, about a half-hour’s drive from Cobh. Posted in Ireland Tours and tagged cobh, cork, emigration, ireland, irhs, queenstown.